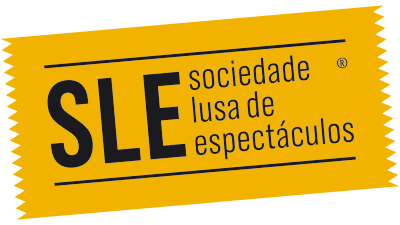 I designed a logo and ID system for SLE (Sociedade Lusa de Espectáculos), an entertainment company and agency for artists. The logo was inspired by the golden tickets from Tim Burton’s movie “Charlie and the Chocolate Factory”. Here the ticket follows the same idea as in the film… the opportunity to enter something previously hidden or secret. SLE was involved in producing shows and presenting artists to the public, so the idea played well for them. The ID system was printed using a special emboss technic with gold subtract finish, further pursuing the idea of the golden ticket. A background image of a theatre curtain was used in the background as a reference to the anticipation before a show. The logo and it’s graphic ID system were very well received by the clients and worked very well in general, partly because they were exquisite, part because normally these objects are white and in this case they were printed with a dark blue curtain image background and stand out from the rest.